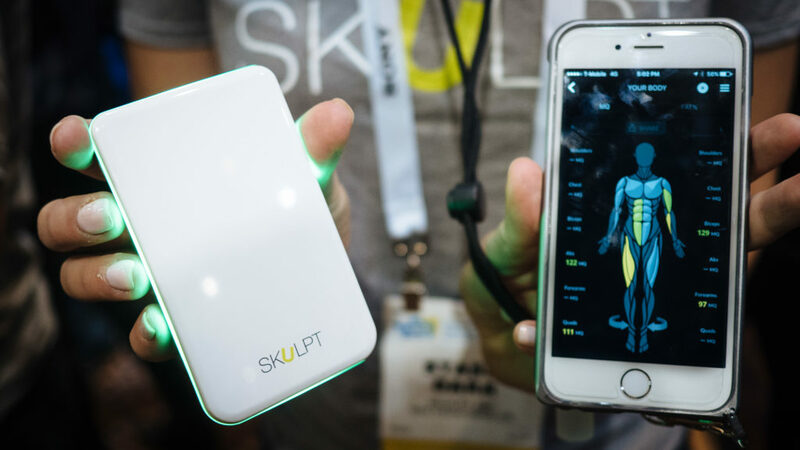 Skulpt is an American health product that measures muscles. The technology was carefully engineered to help patients with muscle disorders keep track of their health. This affordable device can help keep track of your fitness and make sure that you stay in shape for years to come. With Big Apple Buddy’s personal shopping service, you can now buy direct from the Skulpt online store anytime, anywhere. There is no better way to be conscious of your health than with the Skulpt Performance System! Whether you're a professional athlete or just trying to keep your muscles healthy, this device allows you to get a better sense of your physical strength and weakness. The more informed you are, the better! It's easy to adapt the technology to your needs as it learns what you need to work on. You can measure a lot with this small device! The Skulpt Performance System can give you anything from body fat to muscle quality so you have a complete picture of your body and health. Best of all, you can get the information right to your smartphone and take it anywhere as you go workout. It's really simple! 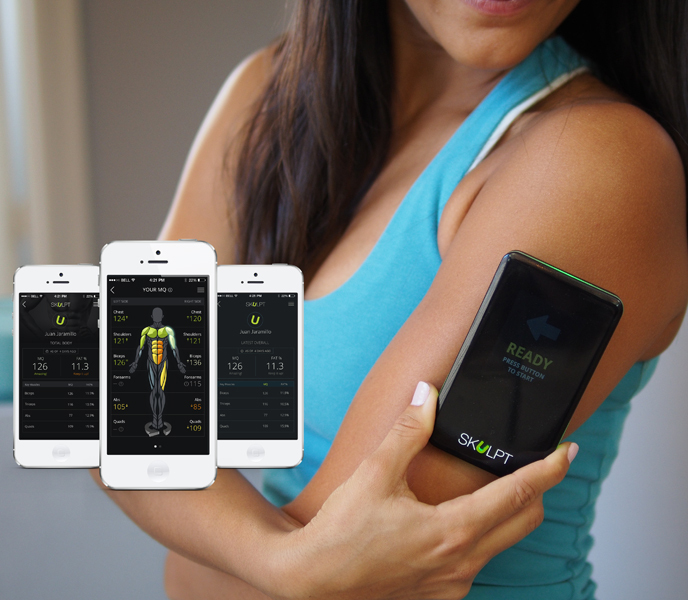 Just hold the Skulpt to your muscle and let the technology do its work as it starts measuring. Don't miss out on the technology that previously only offered to professional athletes! The Skulpt Performance System is an essential innovation to help individuals get a better sense of their muscle health. 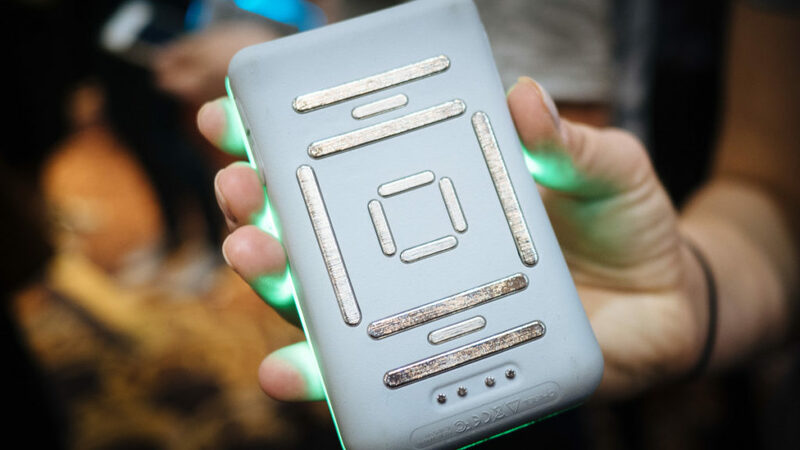 With a very weak, almost unnoticeable voltage, the Skulpt can determine a lot about your muscles like never before. It'll be there in every step of the way until you have a high muscle quality score. Unfortunately, the USA Skulpt online store does not currently offer international shipping. However, Big Apple Buddy, your personal shopper, can help you buy products direct from the official USA Skulpt online store and ship them to your doorstep, no matter where you are in the world. We offer international shipping to over 110 countries including Australia, Austria, Azerbaijan, Bahrain, Belgium, British Virgin Islands, Brunei, Bulgaria, Canada, Chile, Costa Rica, Croatia, Czech Republic, Denmark, Estonia, Fiji, Finland, France, French Polynesia, Germany, Gibraltar, Greece, Greenland, Hong Kong, Hungary, Iceland, Indonesia, Ireland, Israel, Italy, Japan, Jordan, Kuwait, Latvia, Liechtenstein, Lithuania, Luxembourg, Macau, Malaysia, Maldives, Malta, Marshall Islands, Mauritius, Monaco, the Netherlands, Netherland Antilles, New Zealand, Norway, Oman, Poland, Qatar, Romania, San Marino, Saudi Arabia, Serbia and Montenegro, Seychelles, Singapore, Slovak Republic, Slovenia, Spain, South Africa, St. Lucia, Sweden, Switzerland, Taiwan, Thailand, the UAE, the UK, Vatican City, and Vietnam. If you would like to buy from the USA Skulpt online store, simply let us know which items you would like to order (by filling out the form below) and we’ll get back to you with a free international shipping quote within 24 hours!